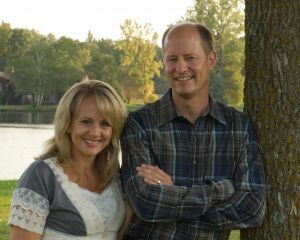 After much prayer and agreement, Paul and Maralee Gazelka, FMIN Workplace Leaders Network Partners, felt the Lord was leading them to run for State Senate in Minnesota. Paul tells us, "During the middle of our campaign, last June, Dave Duell came and spoke at a conference we hosted. We then attended another unplanned meeting with Harold Eatmon and Dave Duell where it was prophesied we would win . . . and we did!" Even though Paul is the Senator-elect, it was Paul and Maralee doing this together that really was powerful. Early on, they asked those around them to pray that they would have wisdom to run the race well. To win, they had to get the Republican endorsement over the sitting incumbent Republican Senator. He was very liberal on social issues related to marriage, lived an immoral life, but somehow had the favor of the people. They chose to focus on the issues that the two candidates were different on and let God sort out the rest. Paul and Maralee were endorsed last spring, then had to win the Primary race against the Senator in August. They thought that would be the end of it, but even after winning the Primary, the sitting Senator decided to run a "write-in" campaign. In the end, Paul beat the Democratic challenger, the Senator and a conservative 3rd party candidate. One major factor in this race was the increased activity of many local church leaders and church members. Even though they could not tell people to vote for Paul from the pulpit, they could personally be engaged in the political process. Some pastors became delegates in the early meetings to endorse candidates (Caucus meetings). Some pastors posted their support for Paul on their personal emails and Facebook pages. Some pastors had his bumper sticker on their car. Many pastors strongly encouraged their church members to register to vote, and then reminded them to vote. Many Christians became involved in the endorsing process early on, and that determines which candidate will get the support of the party with whom they are affiliated. Those who show up win. In the end, The Gazelkas had God's favor everywhere they went. They had a huge number of volunteers who helped with everything from walking in parades with them to dropping literature at people's houses. This was critical for getting the message out. Paul and Maralee have the right message, but believe they won because God's people entered the political realm and fought alongside them. Paul tells us, "This is how we take our country back. The Israelites were given the Promised Land . . . then they had to go and take it. Things haven't changed much. We have an inheritance but we must go after it." FMIN congratulates Paul and Maralee for taking a stand for America, and winning! It's amazing and wonderful story to have our partner in such good office to serve Americans and children of God as well,they is a reason why God has given you such tasks.